If you really want to impact a large audience you'll need a strong process. Building an online course that is powerful and impactful that will be loved for years is hard work. That's the truth. We understand, and it's even more challenging to do when you don't know who to turn to in order to deliver the right results. We believe that it starts with the right intention. If your goal is to build an asset that will drive revenue and grow your business, we say that's a great goal but it's not enough. Only 3-5% of people that buy online courses actually complete them. Simply put, as an industry there is more work to be done. That means that 95% of the people that purchase your program will never get the change they hoped for when they found your message, nor will they get the opportunity to go deeper with you and truly change their lives. The question is what can we do about it? Our answer, we need to make courses better. Making your online courses more consumable will make a difference for you, your audience, and your business. If you think building a course might be for you and you want to know how we can best help you, book a strategy session. Simply click the button below and you'll be taken to a page with our calendar. Select a date & time and fill out the application. We do not accept calls with an empty application so please fill out with as much detailed information as possible. If we read your application and we feel we cannot help you, we'll cancel the call and save us both time. If you fill out your application but leave out important details it limits our ability to assess how we can best help you and it slows down the process of getting you results. Who is this for? This is perfect for purpose driven entrepreneurs interested in creating a lasting impact with online courses and building an asset that drives revenue by helping others. Who is this not for? People who are just simply looking to make a quick buck. 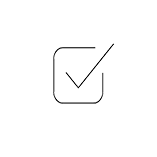 First, we would examine your course as it relates to the product suite and how the various components fit together inside of your customer journey. This pillar is designed so that your sales are interconnected and your clients are not simply purchasing one course. Next, we will redesign your existing content into an impactful course where we retrain the way your customers think about your content so that they are ready to take the next steps with you. This pillar is designed so that your customers see the value in your content and you develop greater brand equity. Finally, we will examine and make recommendations to improve your marketing materials as they specifically relate to course completion. In addition we will examine and make recommendations regarding engagement strategies to give your clients every possibility for success. This pillar is designed so that there is a stop gap at every turn to prevent possibilities of your customers falling out of your course and out of your funnel. I brought Dr. Carrie Rose on board to collaborate with me to take my Hug Your Haters book and turn it into a dynamic, powerful, transformative Keep Your Customers course. I really wanted to put out a high quality product, so I enlisted Carrie to bring out the teachable moments from my existing content. She has developed a unique perspective on content creation that is based in research on how people learn and was able to take her understanding to add questions, activities, and actionable items that really stretch thinking to create greater impacts. I’m proud to offer this course as a part of Convince and Convert. I was very impressed with Carrie’s work, and I’m not easily impressed. When it was time to update our online course content, I approached Dr. Carrie Rose because she has the credentials of a legit educator and her methodology for course creation is based in research. She helped me reorganize my content in a way that make it more easily consumable by my students. This resulted in a better comprehension of the content and my customers report that it " got their heads nodding." As a business owner, this impacts our bottom line as we have less refunds. I found the experience of working with her to be seamless and fun! I would recommend her to people who are ready to up-level their online course content to true university level training. There are few people I've worked with that I can say were HUGE parts of my ability to have success with my online business. Carrie Rose tops that list. When I started out I was pretty much winging it and hoping my content would land, but it was hit or miss. Until I spent an hour on the phone with Carrie and she melted my brain. She made it crystal clear why I was struggling to get people to pay attention to my marketing, sell my products, and complete my courses. All from simply understanding how to present and teach information to clients. After working with her my numbers all increased. Followers, conversions, sales, and retention. Which was huge when it came to upsells into new programs. Megan Smith Gill is a transformational teacher, speaker, author and coach who has reverse engineered happiness and abundance. She was struggling to create her first course. We took her from an idea to creating her signature program in a matter of days. What's is interesting is that their process is so thorough and Ofcourse there’s so much breathe and depth to the process they take you through, I even learned things about my own methodology. I started getting new ideas for my methodology and how I would teach it and how I would structure it. I went through the process of outlining everything and having them pull it out, and then between that time it even benefitted my in person workshops just because of the level and the depth they challenged me to think about how I teach things. I started sharing it with people coming to my workshops and reframing & restructuring how I teach it in person. It gave me even more confidence that was truly helping my students learn. Now, I feel like I have a course that’s as powerful as what I really teach. I wanted to do something that’s never been seen before. Ofcourse, they came to the table with some great, innovative, out of the box ideas and it really was an amazing experience. The first time I met Dr. Rose she was on stage speaking and she had told her story in such a transparent way. Her intention was that people complete the course so we can make an impact on their lives. I knew that I was congruent with what she wanted. She saw the problem in courses that people didn’t complete them and that was a solution that she dedicated her life towards and that resonated with me. And then when we worked together, one on one, that was just an amazing experience and they definitely over delivered. That’s what we want, right? We want long term, people to stick, to absorb it, to apply it. I want to be able to attract people and relationships in my life that I truly felt that help support me so I can help as many people as possible with my message. As a company and helped me build a powerful course, and gave me an incredible experience, but even greater than that, they truly cared. 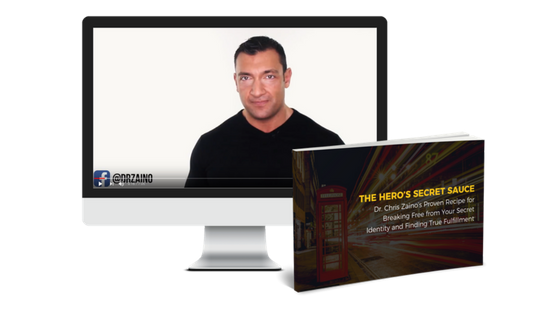 We had the honor of developing a multi-level comprehensive online course with Dr. Chris Zaino, I Am Hero. In this program we developed & implemented a completely new strategy for student engagement and retention. 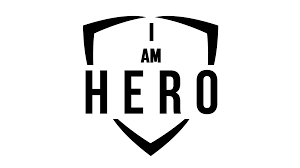 We also built a unique framework for the I Am Hero project that is designed to have it's students discovery their true gifts and how to get their message out to the world. We had the pleasure of developing a multi-level comprehensive online course from the best selling book, "Hug Your Haters" by Jay Baer of Convince and Convert. In this program we used our proprietary methods and frameworks to build a powerful online course designed to impact his audience at it's core. Dr. Carrie Rose helped me take my 65 videos and 25 infographics and turn it into a comprehensive online course. I was too close to the material to see how it needed to be restructured and her services made my New Marketing Mastery online course much better than it was when it started. We provided David Meerman Scott with a comprehensive restructure and content development strategy, giving his online program much more clarity, and making it much easier for his students to understand and apply. I spent the last two days with Dr. Carrie Rose, and I was blown away with what she was able to do with my content and my material, by taking my book and transitioning it into an online course. If you are an expert in your field and have been thinking about how to build an online program I encourage you deeply to contact Dr. Carrie Rose, she is a master at her craft. I could not have done it without her help and for that, I am eternally grateful. We provided Megan Smith Gill with a complete online course design & content building intensive, helping her develop the " Give A Shift " course, into a powerful online program that her clients and customers can take to get better results by shifting their mindset with her proven strategies. Of-course.us | Hello@of-course.us | Based in Orlando, Fl & Beyond.